How an Adubato thrust himself into Sinatra’s notorious brouhaha at Atlantic City’s Golden Nugget. 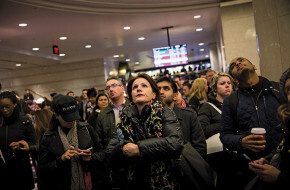 We need a new Hudson River tunnel. But who will pay? Proposed bill would reform Jersey’s liquor laws, allowing more restaurants to serve alcohol. Supreme Court decision on pension deal opens new debate over unfunded liabilities.